In Texas, friendship is not a big thing; it's many little things. It's a welcome sign and an old motel key and a motorist lifting an index finger as a gesture of hello on an open road. 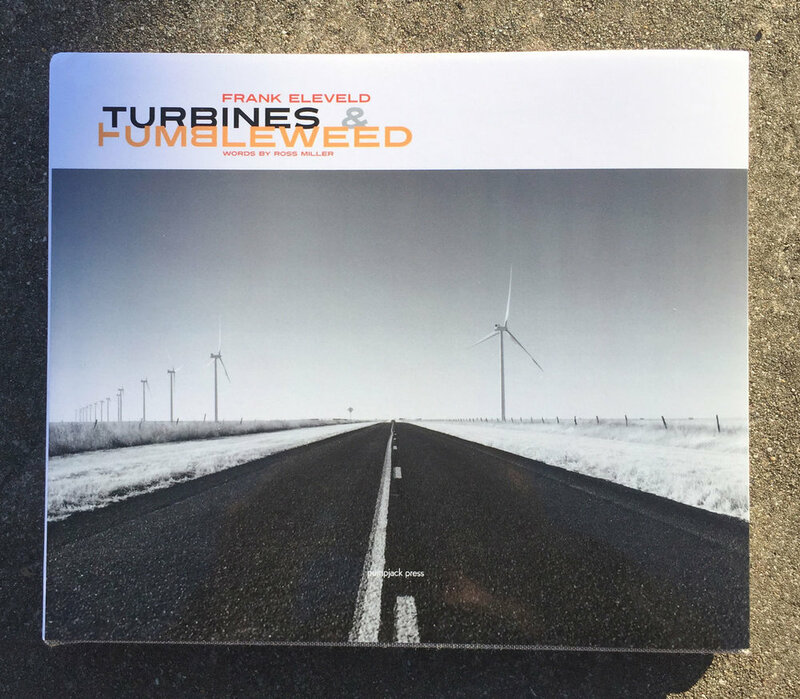 Here, acts of goodwill cultivate personal joy, and in Turbines and Tumbleweed, artist Frank Eleveld says hello. I met Eleveld a decade ago on Flickr while browsing for pictures of West Texas. There I shared some of my own and chatted with fellow photographers. To my surprise, one from the Netherlands with interest in Route 66 stood apart. I began to watch his coastal series: Above Middle Gray. It is not easy photographing Texas from Europe. So Eleveld planned a route and made the journey. He pictured dust-blown towns, mailboxes and truck stops. He went beyond many well-known attractions to an unpolished side of the High Plains that exists at Happy. I care about the region. I remember rummaging in a camera bag once looking for a lens feeling sad that the terrain was flat and uninspiring when I spotted a blade of grass twitching in the wind that brightened my day. Frank, congratulations on the new book.